Garment, Bags,Home Textile,Shoes,Packing and decoration. 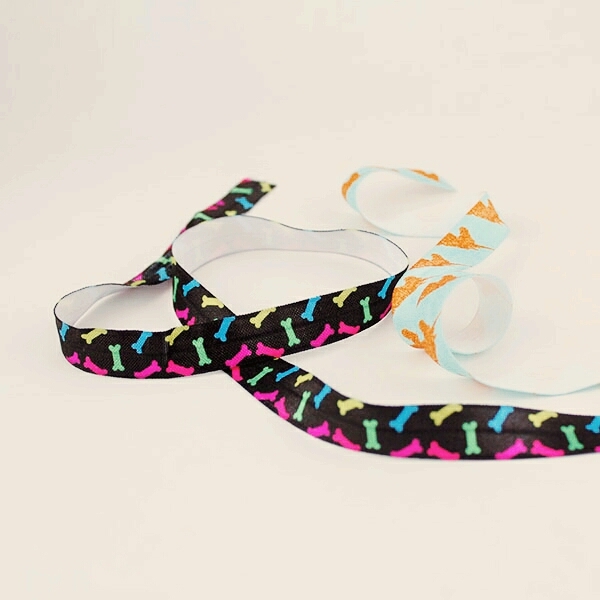 Mix color heat transfer unicorn printed ribbon 5/8 fold elastic FOE ribbon is made of 70% nylon and 30% spandex It has bright colour,fine texture with high fastness to wet and dry rubbing. 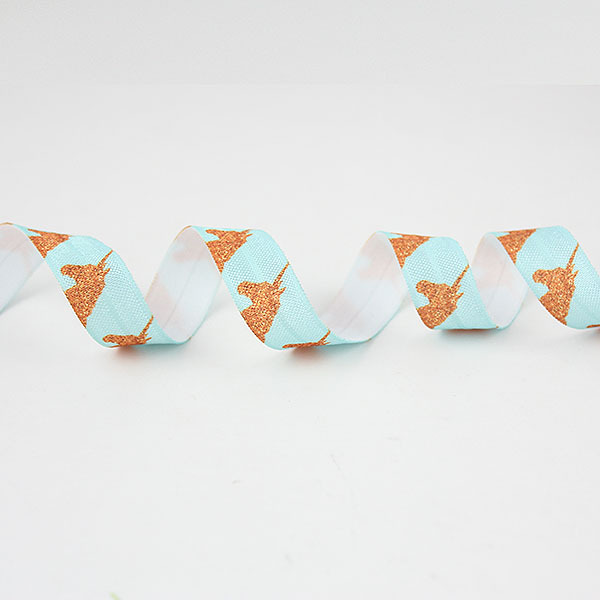 With colour fastness up to 4 level,it is washable and wearable.Widely used in variety of garments decoration,gift packing,scrapbooking,hair accessories and wedding decoration.